Dr. Martin Luther King, Jr. may have formed some of his ideas working in Conn. tobacco fields. If he were alive, Dr. King might have cried at Obama's inauguration, like Rev. Jesse Jackson, but he might also be blackballed from the White House guest list, like Rev. Jeremiah Wright (depending on which of his sermons happened to be covered by conservative news outlets). President Obama and MLK might be "frenemies": Distant friends in public, with a fractured relationship behind closed doors. King would both love and abhor Obama at the same time. Health care reform: Dr. King would likely stand up for any policy which expands health care coverage for the American people. But he would also be disturbed by the fact that the government is not only expanding coverage, they are requiring all Americans to buy it. This leads to a boon for the insurance industry, which is why the stock price of AIG, a large insurer, has been shooting through the roof as health care reform gets closer to passing. One major difference between King and Obama is that King didn't have to cater to the evils of unfettered capitalism in order to pursue his agenda. The wars in Iraq and Afghanistan: No, no, no. King might appreciate the fact that these wars were not of Obama's making, and that he did not vote in support of the wars in the first place. On the other hand, King would balk at the audacity of Obama to accept the Nobel Peace Prize while justifying increased military presence in Afghanistan. The idea of using war to allegedly create peace is another way to describe oppression. In fact, nearly every war in the history of the world ultimately led to peace after the enemy was either dead or surrendered. The economy:: When it comes to economic issues, Dr. King would likely be in agreement with Dr. Cornel West, who argues that Obama works mostly in support of wealthy bankers on Wall Street. What is most ironic, however, is that many of the Wall Street bankers have almost no respect for the president. Obama hardly has the reputation of an unapologetic capitalist, yet he is labeled as such by many working class Americans. Most significantly, his refusal to even acknowledge the unemployment gap in the African-American community would likely sicken Dr. King, for it represents a betrayal of the trust of millions of African-Americans who've loyally supported Obama since the beginning. African-American issues: I would imagine that when it comes to African-American issues, Dr. King's opinion would be in line with those of The Revs. Jesse Jackson and Al Sharpton. While we might not consider these men to be proxies for Dr. King, we must realize that it is a tradition in American media to ridicule and chastise nearly all progressive African-American public figures. In fact, you probably can't think of one significant black leader who takes strong stands on controversial issues who hasn't had his dirty laundry aired to the American public at some point (even Dr. King was very unpopular at the time of his death). So, given that Jackson and Sharpton have presented measured, yet critical support of President Obama, I expect that King might be similar. I do not believe, however, that Dr. King would threaten to cut off Obama's testicles or compare him to a black man running from a cop (as Rev. Jackson and Michael Eric Dyson did). 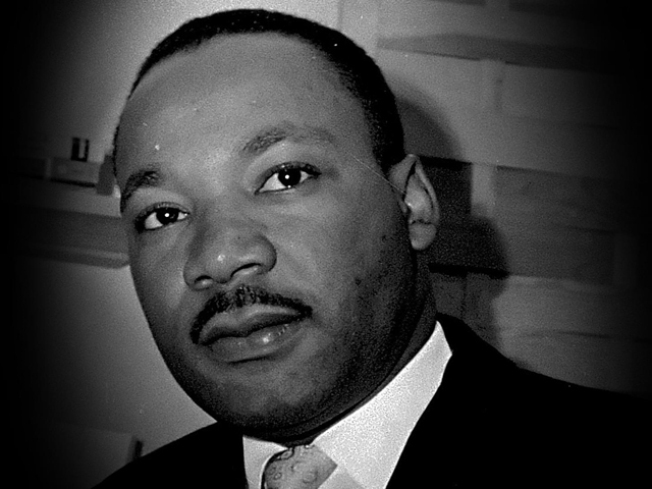 Dr. King's commitment to peaceful progress and respectful strength would likely have continued to the present day. Social justice Dr. King would applaud Obama's arrival to the White House in the same way he was happy to see John F. Kennedy rise to power. He would expect Obama to keep his commitments to human rights and freedom for Americans everywhere. Obama has not yet fulfilled many of his campaign promises, but it's likely that his liberal supporters and a Democratic Congress will give him plenty of room to get things done. The bottom line is that Dr. King would support Obama's presidency and work with him to achieve significant progress. But Dr. King and Barack Obama are very different leaders. America would not be ready for a black (or even a white) president who thinks the way Dr. King did during his lifetime. Dr. King's commitments were to fairness, protecting the poor, and standing up for the disenfranchised. Unfortunately, those values remain unpopular within the power structure of our current capitalist society. For more stories from The Grio, go to thegrio.com.